The Thrill of the Fife & Drum…..
Would you like the excitement of marching and performing before thousands of applauding parade-goers at such annual events as Gaspee Days, the Bristol Fourth and another dozen of more great New England parades each year? Or the honor and enjoyment of being asked to play at numerous State-sponsored formal occasions? Then maybe our Fife & Drum Corps is for you. Some musical knowledge is helpful, but if you are truly dedicated to learning to play the fife or drum, our staff will be glad to meet with you and discuss it. Instruction is provided free of charge. Normal recruitment age for applicants is 16 and above. 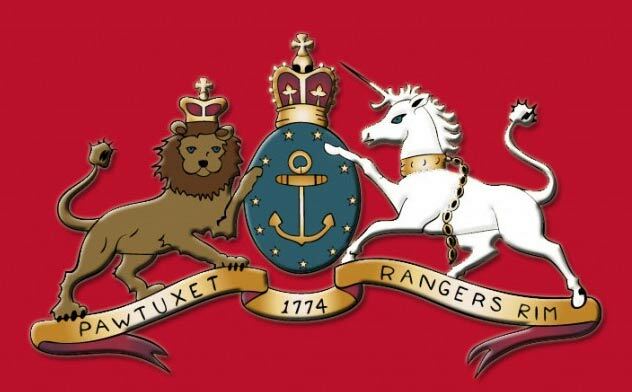 And, every year, the Rangers’ Fife & Drum Corps takes part in Colonial musters which are held throughout New England during the summer and fall months, where they mingle with and perform before other Colonial groups at these very sociable and enjoyable gatherings.